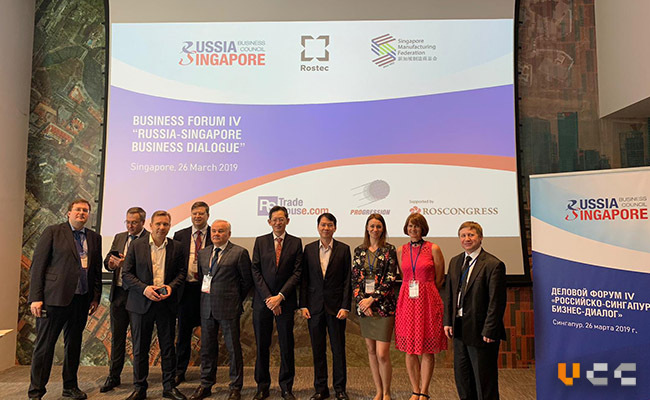 The much-anticipated Russia event for trade finance and international payments industry was held at Moscow on 14 -15 March 2019. The event was organised by ICC Russia and hosted by VTB bank and the focus this year was on “Documentary Business and International Payments: Key Trends, Challenges and Prospects”. It was a privilege for VCC to be invited by the Russian National Committee of the International Chamber of Commerce (ICC Russia) to speak at the event. 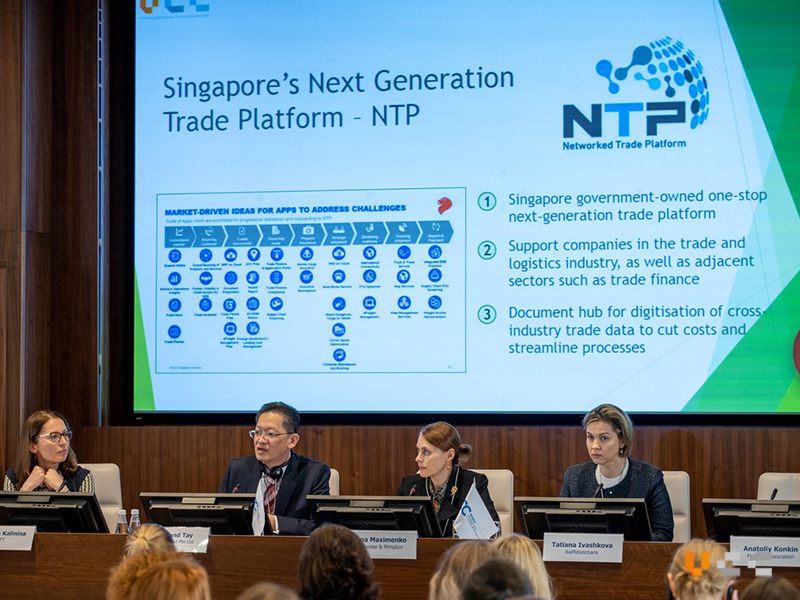 Our CEO, Mr Desmond Tay, shared information and his insights about trade digitalisation and how digitisation can boost efficiency and security in trade finance. 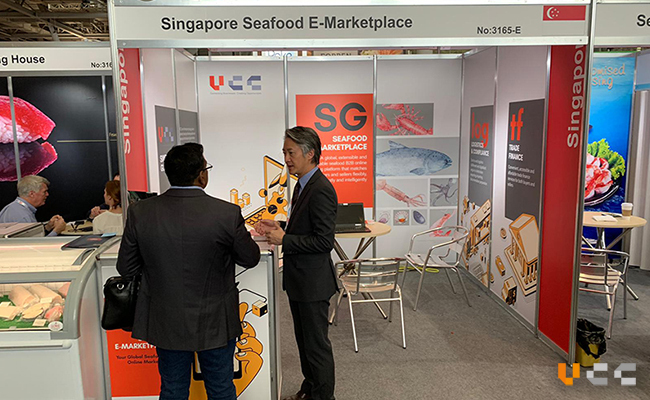 With the headquarter in Singapore, representing VCC, Mr Tay also talked about the Singapore government’s efforts and Singapore’s journey in trade digitalisation. 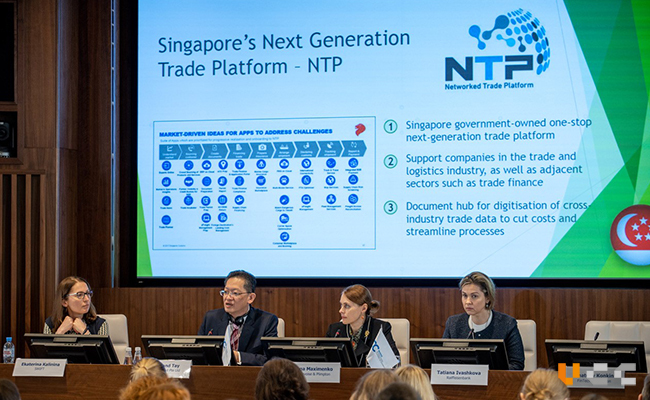 One good example is the launch of Networked Trade Platform (NTP), developed by Singapore Customs, to help connect and digitise trade processing for traders, logistics companies, shippers and financiers. VCC is one of the value-added service providers on the NTP platform, and one of the services we will be offering on NTP is a one-stop multi-bank portal that will aggregate trade finance products from nine leading banks. This trade finance portal aims to bring convenience and cost efficiencies for trade finance applications. Mr Tay also shared another example of the benefits of digitising trade documents, such as the issuance of Certificate of Origin (CoO). Using our electronic Certificate of Origin (eCO) on blockchain, it helps prevent fraud and forgery, lower cost of implementation and easy verification of authenticity using just smartphones. This smart eCO solution eradicates the challenges of the current CoO process such as high cost, longer processing time and possible fraud and mishandling of manual documents. After the event, the event organiser has received very positive feedback from the audiences that Mr Tay’s presentation was exceptionally interesting and informative, and the discussion was conducted in a highly professional manner. 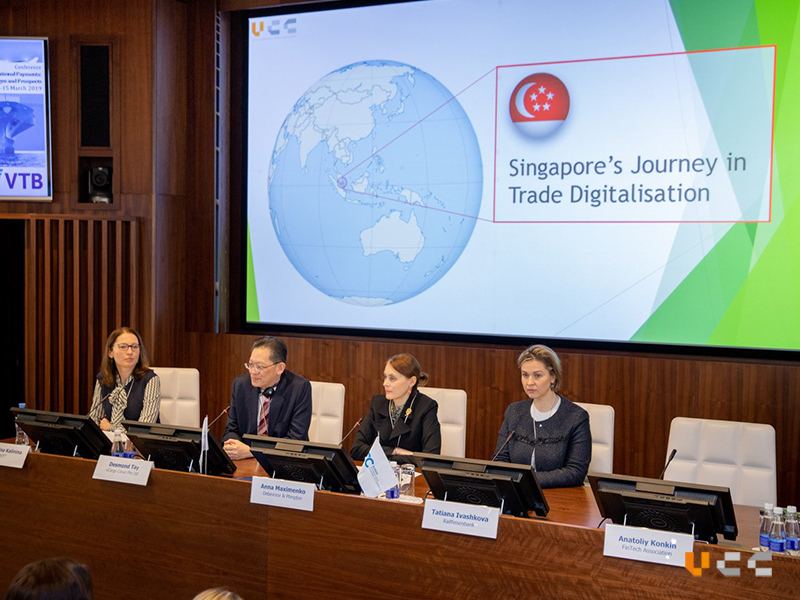 This event was a useful forum for both VCC and the participants, to exchange ideas with regards to the digital solutions of international trade and trade finance. Mr Desmond Tay, Chief Executive Officer of VCC, sharing information and his insights about trade digitalisation and how digitisation can boost efficiency and security in trade finance.